Posted on February 10, 2010 August 5, 2017 by Monsieur K.
Click here to Download the complete album as MP3. This download contains the complete tracklist in 192kbps MP3 format along with high resolution cover art and leaflet pages in JPG format. 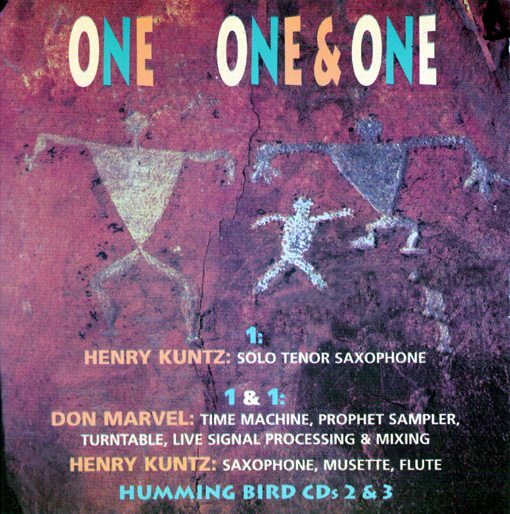 The solo saxophone music on One One & One (1997-98) is the dimensional opposite of that which appears on Wayang Saxophony Shadow Saxophone (2006). 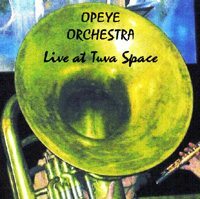 To use a shadow play analogy, the solo music on One One & One is like the movement of the brightly painted puppets (brightly lit by flickering flame) on the puppet master’s side of the screen while the solo music on Wayang Saxophony Shadow Saxophone is like the etheric trails of those movements as they appear in “negative” space. 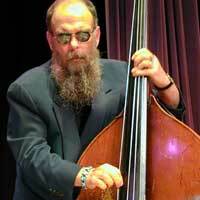 The music with the amazing Don Marvel straddles multiple dimensions. The following “Notes” for One One & One were originally sent only to reviewers. 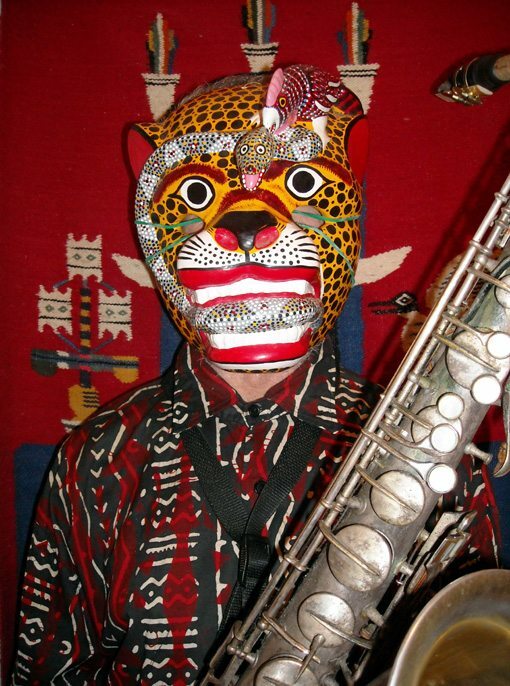 In September 1996 at Beanbender’s in Berkeley, I gave the first performance of solo tenor saxophone I had given in some 15 years. The response was overwhelmingly positive, encouraging me to continue working in this format. From 1979 to 1981, I did a number of solo saxophone performances. 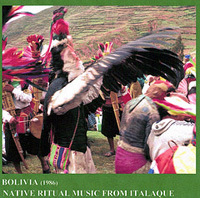 The musical areas I was working in at that time are documented on the first two Humming Bird LPs, Cross-Eyed Priest (HB 1001) and Ancient of Days, Light of Glory (HB 1002), and by a single piece on the Humming Bird cassette, Atitlan/Luna Negra (HBT 004). Key to my playing in this period were harmonic, sonic, and textural explorations and the dimensional use of space both for formal definition and as an implicit propulsive component in its own right. This playing was mainly rooted in the extreme upper range of the saxophone. From this position, I also attempted to put forth what I called a “new melodicism” which was based on the concept of working in this range for its own sake rather than simply using it as a place to land through emotional catharsis. Although I have never actually stopped playing the saxophone, I have only recently (since 1994) begun practicing it regularly again. This time, aesthetically speaking, I decided to make a fresh start with the instrument, drawing on all the different ways I had once played and explored, and remembering the influences of many different players who had inspired me to want to play in the first place. At the same time, I have been drawing on the influences of electronic music and the particular ways it is possible to approach, create, and manipulate sound electronically. 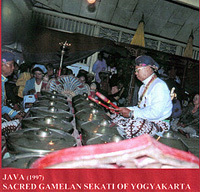 These are ways of playing which, while growing out of electronics, need not be restricted to that domain alone but may also be applied to playing traditional instruments. I include in my reference to electronics turntable artists, samplers, “noise” artists, signal processors, and those in still indefinable “categories” of sound in addition to persons engaged in so-called “pure” electronic music. Technically speaking, I have sought to bring both a sense of “tradition” (or at least of my own tradition) along with a sense of exploration (of the unknown and barely-known edges of sound) to my current playing. All of my playing, however, is based in improvisation. So the technical aspects of music-making are still only the groundwork for what is to follow — and that, of course, is always unknown. Spiritually speaking, improvisation is to me — as I have alluded to elsewhere — akin to a form of shamanic art. Clarity of mind, psychic freshness, pleasure in playing: these are the core of true creation. These are the qualities I have sought to keep constant in all of my music. With my expanded interest in electronics, the collaboration between Don Marvel and myself was a natural. 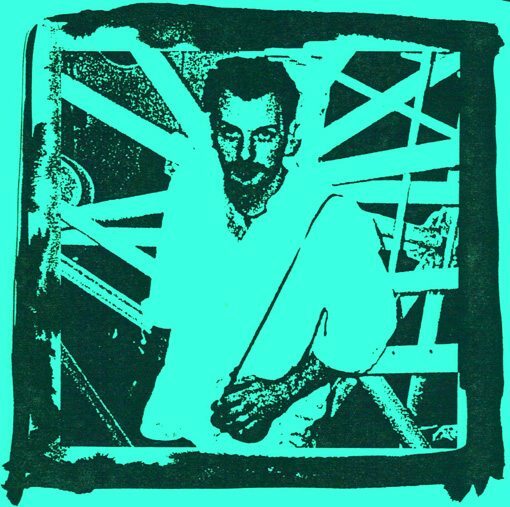 Don is a deeply aesthetically-sensitive player who not only took the raw sonic material I provided him and uniquely re-shaped it but used it to create entirely new formal dimensions, sounds, textures, and structures that were likewise firmly rooted in the extended contours of my own playing. 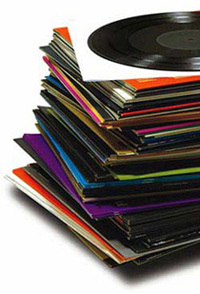 Additionally, as part of the raw material of his turntable, he took the LPs I had made years ago and gave them new life, using them as formal, clipped, and distorted counterpoint to the “actual” new music — to the extent that even I am not always aware of what is the “current” playing of mine and what is not. This is not to mention the way in which he processed and mixed all of the music in the moment, creating layers of textural soundings, loops, and inter-loops, seamlessly inseparable from the original material from which they sprang. I hope this record will serve to introduce Don’s genius to the many who I know will want to hear how he works. SAN FRANCISCO BAY GUARDIAN | Few other musicians so completely defy description. Kuntz not only colors outside the lines, he erases them and starts from scratch every time out. 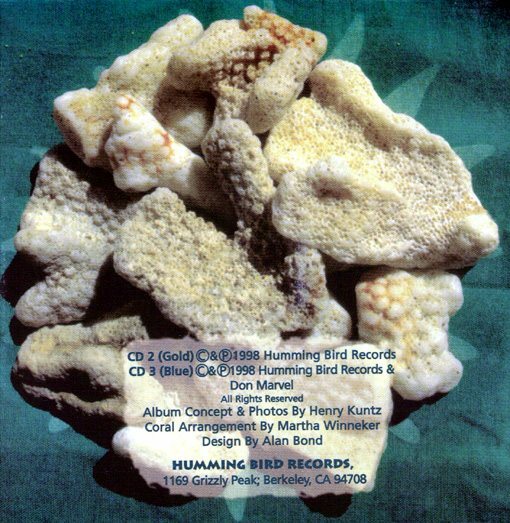 OUTSIDE # 7 | This is a 2-CD package issued on Kuntz’ label – Humming Bird Records. 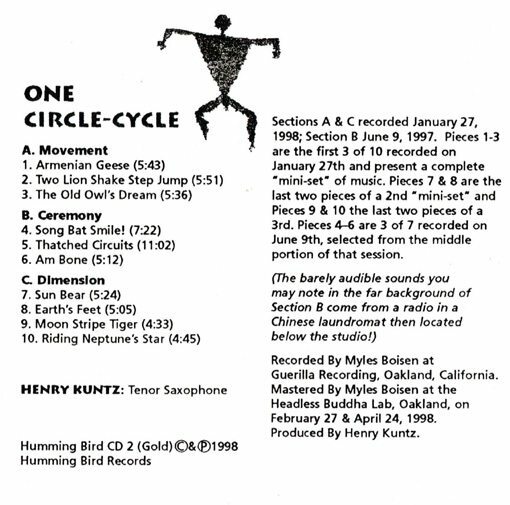 The sixty-one and one-half minute ONE (the gold disc) is solo tenor saxophone by Henry recorded in 1997 and early ’98. It is entitled Circle-Cycle. It consists of 10 pieces in 3 separate sections, and explores sonic territory in which few, if any, have dared to venture …at least not alone, and for such an extended period. The result is a highly original and masterful approach to the tenor saxophone. This is not familiar territory. It is like a lonely walk on a distant planet. Not those comfy close-to-home planets like Mars, Jupiter, Saturn or Venus but rather ONE man walking out there digging and turning the solidified materials with a carefully polished axe. Yes, a mineral world, full of sharp edges, deep vibrations, and short cries and exclamations of discovery. That ONE man taking this lonely creative trip may interest only a few but like most truly creative work it’s not for everybody, just those who want it. For those, a wonderful music has been made available. 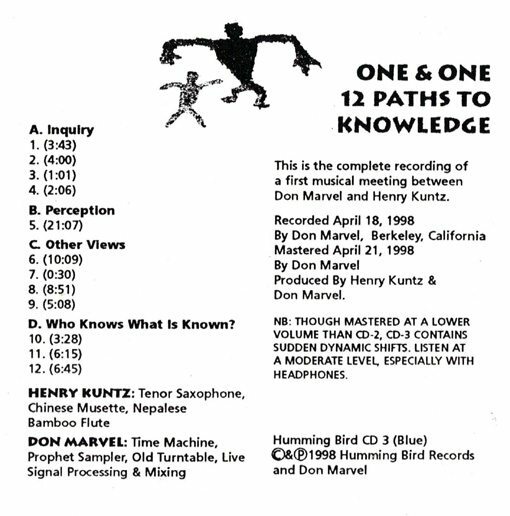 The second disc ONE & ONE is Henry in duo with the electronics of Don Marvel who lives secluded in the Blue Ridge Mountains of North Carolina. Henry plays tenor, Chinese musette, and Nepalese bamboo flute. Don plays time machine, prophet sampler, old turntable, signal processors and does the mixing. 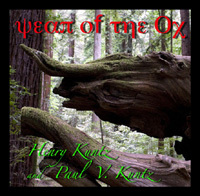 The 73 minute CD (the blue disc) is an intense package of further searches into the unknown.